Right after his graduation from the Fine Arts School of Lyon in 2010, Marc thought that it was time to work 30 hours per week to earn money and invest in his future projects and to pay the rent. Quickly, he found a dishwasher job in a small restaurant. He washed plates and pressure cookers for eight months. It was not a passion job but it allowed him to think while he worked. Often, he thought that he didn’t study that much to end up here. Coming and going from and to work, he listened to Booba on his walkman, saying in one of his songs: “I wasn’t born to be a dishwasher”. Marc thought it was funny but also sad. He thought he was loosing his life trying to make it. And at the same time, this manual, lonely and repetitive activity let him a lot of time to dream. Everyday, when he was back from work, he laid out plans, ideas from his future works from the tip of his dishwashing liquid-wrinkled fingers. After eight months of dishwashing, Marc is invited for a residency with Stephane Balkhenol. It will be the perfect opportunity to work with other material than dishes, like wood.He will go on and have residencies at Astérides in Marseille, Fugitif in Leipzig, and Moly Sabata in Sablons. Since he finished washing the dishes, he is creating objects and drawings, thinking about all these dishes he washed. Born in 1987 in Annonay. Lives and works in Marseille. 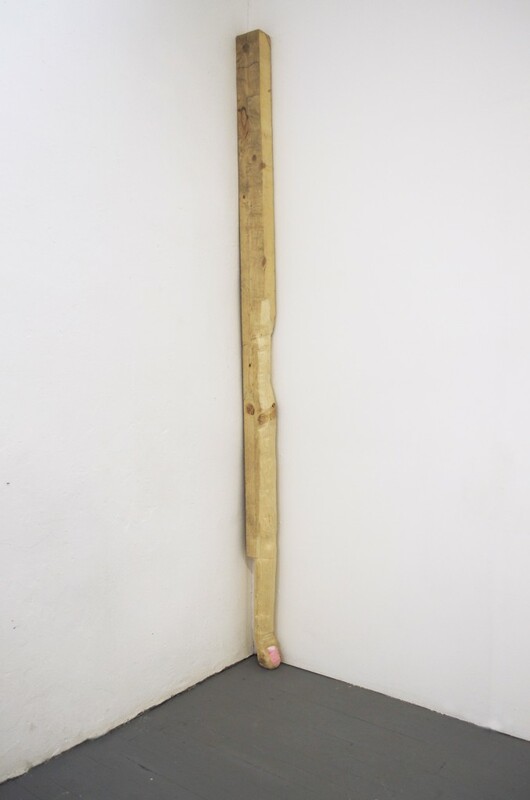 As an assiduous observer of certain contemporary cultural and popular practices, Marc Etienne’s practice alternates between drawings, sculptures and installations whose common denominator is the appropriation and the aggregation of tropes drawn from these areas of attraction and fascination. 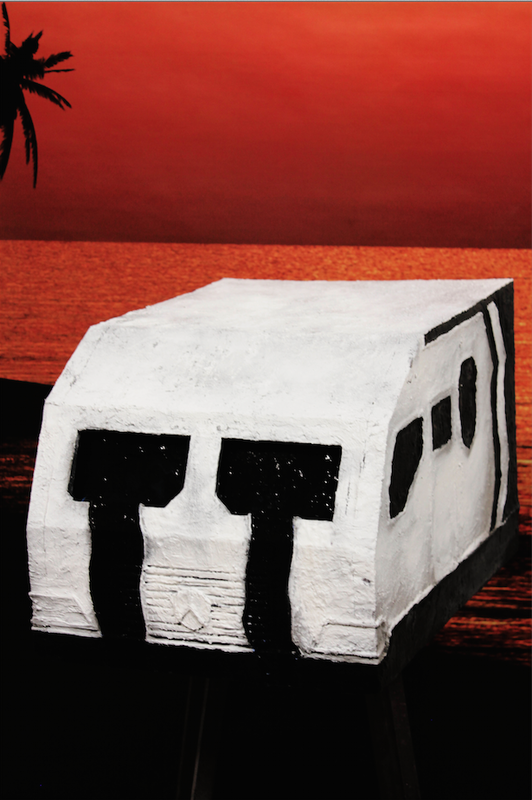 Whether he approaches them via objective representations of figurative imagery or in narrative sequences, or whether he transposes and synthesises them through metonymy into assemblages of symbols, his hybridized and recomposed sources are those of modern ways of life; ways of life whose tropes oscillate between the banal, the whimsical, the popular and the cultured. The same is true of his most recent sculptures – ambivalent arabesques forged in metal but covered in dried earth: frail and solitary symbols of an ornamental substrate which seems to call out to us, “homemade, handmade”. 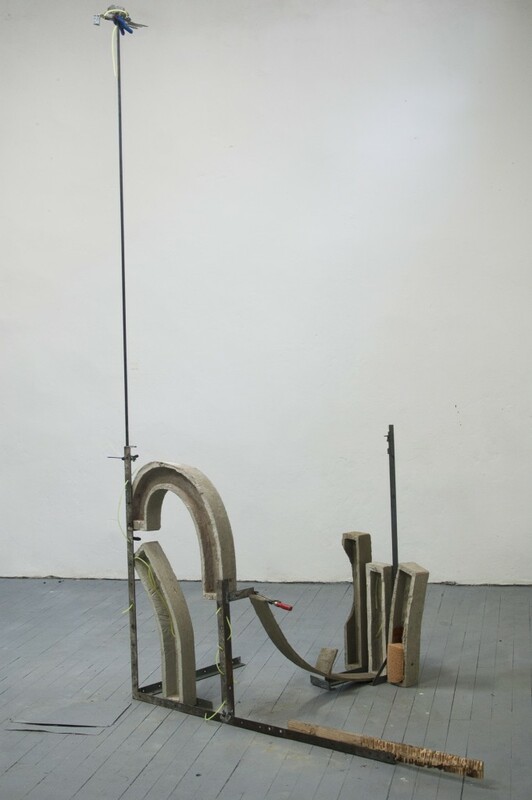 Marc Etienne,Découpé & Vissé [Cut & Screwed], various materials, 2015. 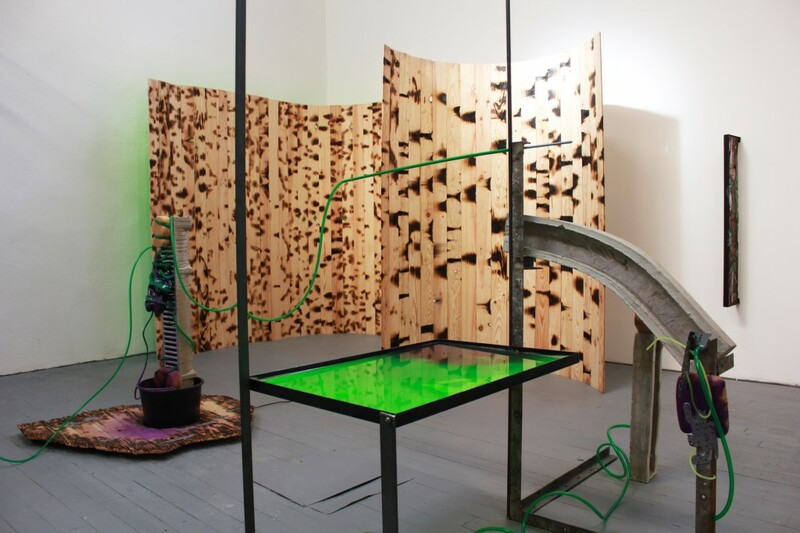 Etienne Marc, Studio view, 2015, Various materials.